our fair dates and a few patterns, we will be adding and transferring more in due course and changing the links here. We are Barbara-Ann Cunningham and Andy Cunningham and we make wild and wonderful one of a kind artist teddy bears, dragons and rabbits as well as some beautiful traditional bears. Here's a quick guide to the website. If you would like to see the bears available for adoption please click on one of the pictures below or the links to new bears on the left. 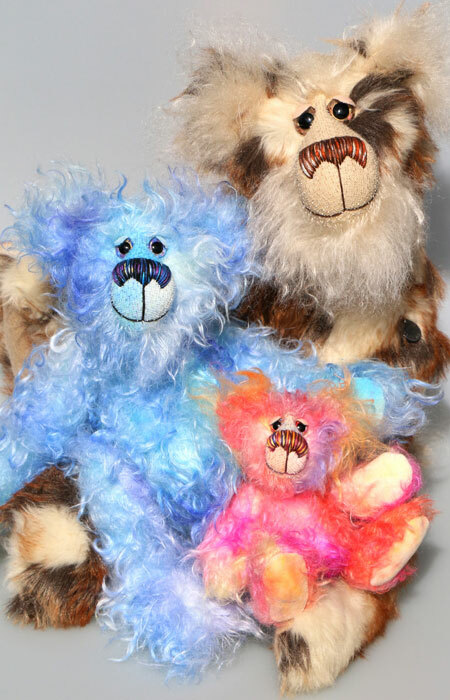 Our bears, rabbits and dragons are generally made using high quality German mohair, a lot of which I hand dye to create the vibrant colours I love so much. A few bears are made using exotic fabrics and faux fur more generally used in high fashion houses. Neither of us smoke, so the bears are made in a smoke free environment. They range in colour from traditional browns and greys to hand-dyed, colourful, wacky creations. We mainly use mohair but will occasionally use high quality faux fur (fake fur), most of the mohair is either hand dyed by Barbara or comes from our sister company Norbeary Fabrics. These are traditional bears like the ones we started making way back in 1990. Many of our traditional bears are made out of genuine vintage German mohair, dating back to the period between 1870 and 1930, which we buy on our trips to German bear fairs. We can also supply vintage mohair through our Norbeary Fabrics website. Barbara has a love of all bears, she loves the wild, the traditional and the old, tatty fellows that have been loved by children a long time in the past. These are some old bears and other animals we are selling on Etsy and at bear and antique fairs. As well as making all the bears on show here, we are happy to undertake special commissions, if you have an idea please send it to us in an email or in writing in as much detail as possible. 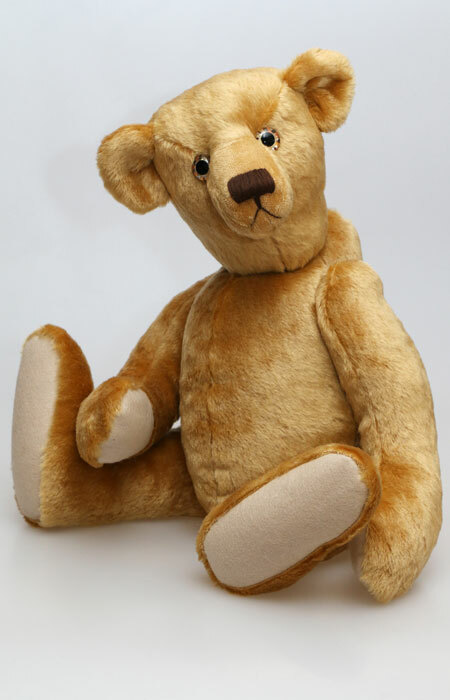 Also, if you have seen one of our bears in the past we may still be able a similar for you, just ask, if you can send us a picture, a drawing or a link to a website page that would be very helpful. 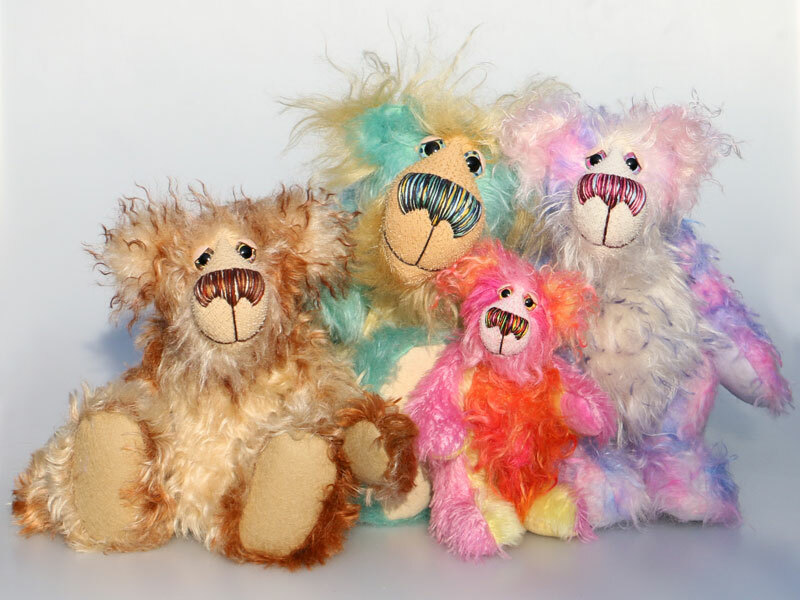 If you'd like to make one of our bears we also sell kits and patterns, We have a range of colourful, hand dyed, wild and wacky and traditional bear kits. The patterns are on our Norbeary Fabrics website which makes it easier for you to choose some mohair at the same time. If you are buying a bear or kit for a special occasion we would be delighted to include a gift tag and greetings card with your bear, just let us know when you order. We try to include a photographic greeting card with all our bears using one of the photos you see on the website. Of course you can also buy the gift tags and cards separately. Some of the Greeting Cards, are colourful hand drawn creations and others feature photographs of our bears. We love doing bear making workshops and courses, they always seem to be fun. We can help you if you've never made a bear before or if you're an experienced bear maker who just wants to learn something different. Well not quite everything, we also can supply hand dyed mohair supplies ,and offer a web design service, please contact us for details. 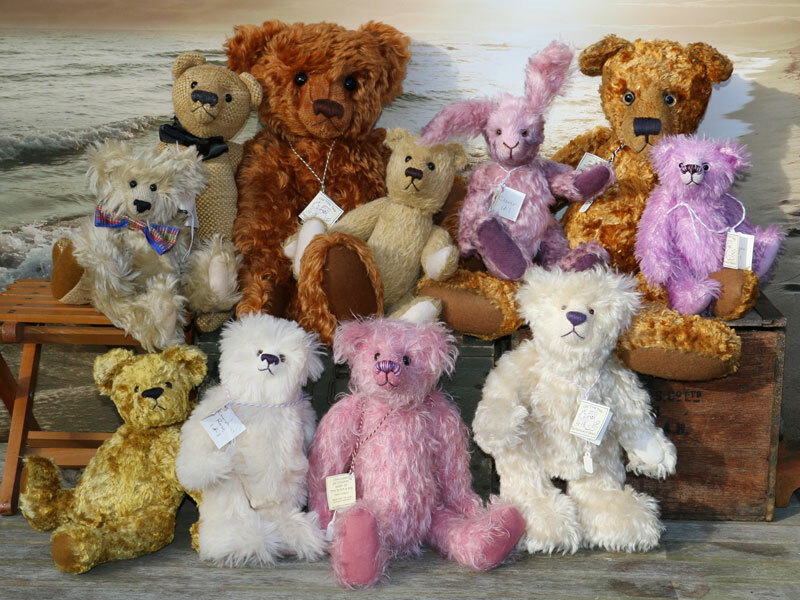 In April 2007 we took over Norbeary Fabrics from Ralph and Gloria Norbury, you can see our range of mohairs by clicking here which takes you to our new Norbeary fabrics website. We are always working on new bears and other projects, so more pages and features are continually being added or updated, so please keep checking back. Our news page is regularly updated so if you want to see what's happening you could start there. Finally if you have any ideas or suggestions please let us have them, either about the bears or the website, we'd love to hear from you. You can find us on Facebook, where you will find all the news first!